There are two models in Kona’s Honzo range: the AL version, tested here, and the more expensive Deluxe (DL) option that comes with a Fox 34 fork and a lighter build kit. Both bikes share the same sleek alloy frame, with its smooth welds, low-slung top tube and contemporary geometry, but the DL build is 2kg lighter. What sets the Honzo apart from other 29er trail hardtails is its incredibly short 412mm rear end. 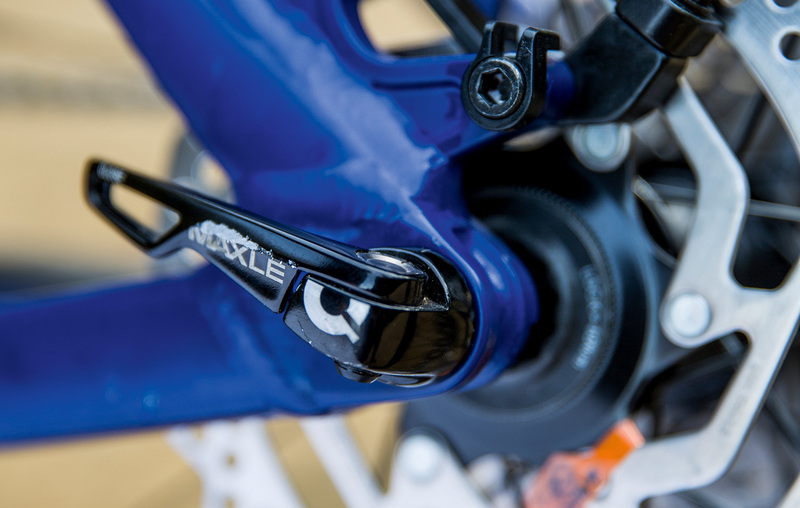 Kona has achieved this by slamming the rear wheel right up against the curved seat tube and ditching the facility to fit a front mech altogether. It’s a really clean design, where the chainstays are anchored to the outer edges of the PF92 BB shell for maximum tyre clearance. Curving the seat tube forward, to provide the necessary clearance for the rear wheel, has meant that the seatpost is more vertical and you sit almost directly on top of it. This provides a great seated position for keeping your weight forward on the climbs — especially with those incredibly short chainstays — but it also means that the post flexes less and you feel every bump coming straight up through the saddle. 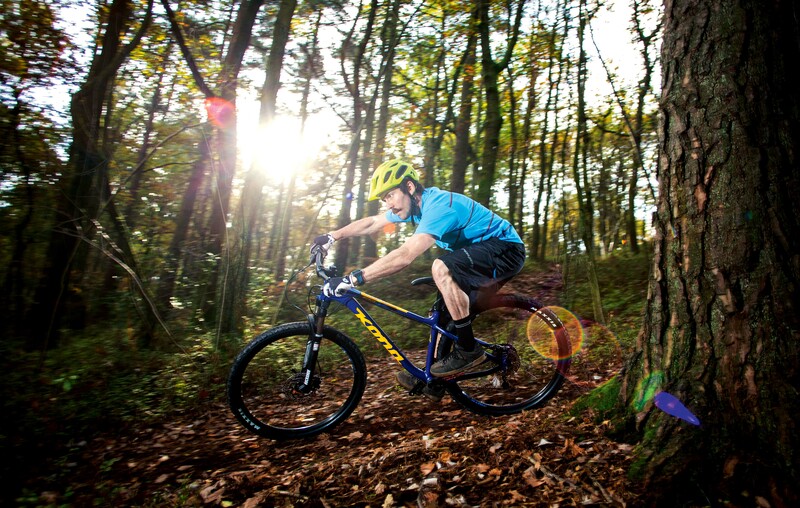 As such, the Kona does not offer as comfortable a ride as the Whyte 901. The RockShox Sektor fork on the Honzo gets a tapered steerer tube and 15mm Maxle lowers for improved stiffness and extra steering precision. It’s not as high-spec as the Sektor on the Whyte, though, as it gets heavier steel upper tubes instead of alloy ones. Other than the increase in weight, there’s little to separate the performance of both forks. The set-up procedure was similar too: add extra air to increase support, then run the rebound towards the open end of the adjustment range to stop the fork packing down on repeated hits. There’s hare and tortoise markings above the rebound adjuster, so it’s easy to work out which way you need to turn the dial. 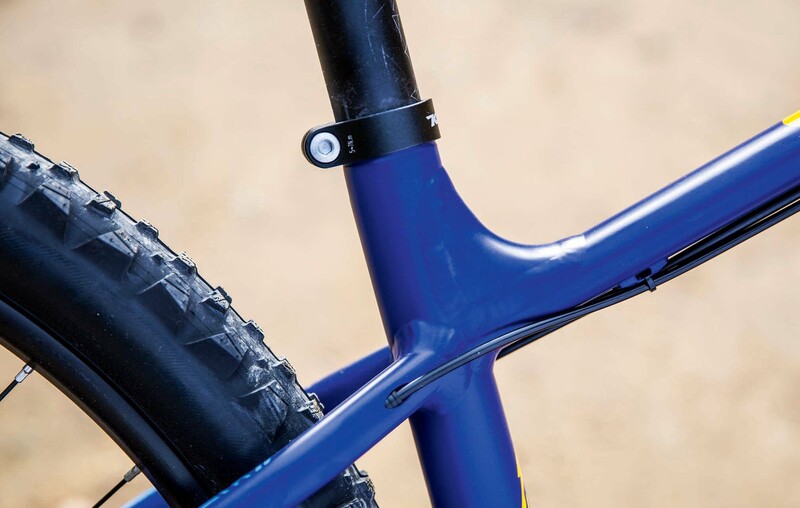 With a 760mm-wide handlebar and 60mm stem, the Kona Honzo is ready to rock. Kona’s in-house saddle feels a lot like a WTB Volt, in that it scoops up at the back and helps keep your weight forward when seated climbing. Not that you’ll be able to sit down and spin up steeper grades with the 32/36 gearing. Given that we’ve struggled on lighter 29ers with a 32/42 set-up, Kona really needs to fit a smaller chainring, or a hop-up cog on the rear, for the 1×10 drivetrain to work for riders of average fitness — which, let’s face it, is most of us. We’ve criticised Kona in the past for speccing heavier, steel-bead tyres to save money, and unfortunately the Honzo is no different. The result of the increased rotational weight is that the Honzo is slower out of the blocks, but it also makes swapping between turns more laboured. There’s a lot of misinformation floating around about 29ers, and the media and bike industry are jointly responsible. Unfounded claims, for example, that 29ers aren’t as much fun as smaller-wheel bikes. Well, the Kona Honzo lays that one to rest. Then there’s the idea that 29ers are harder to jump, even though they actually feel more stable and safer in the air. Sure, they are never going to 360 or backflip as easily a bike with small wheels, but that’s not what most trail riders are interested in, or capable of, anyway. Another negative directed squarely at 29ers is that they are harder to manual. This isn’t true either. Yes, it’s harder to get the front up on a 29er, even on the Honzo, with its super-short 412mm chainstays, but after that initial pull, it’s often easier to keep it up. And does it really matter? 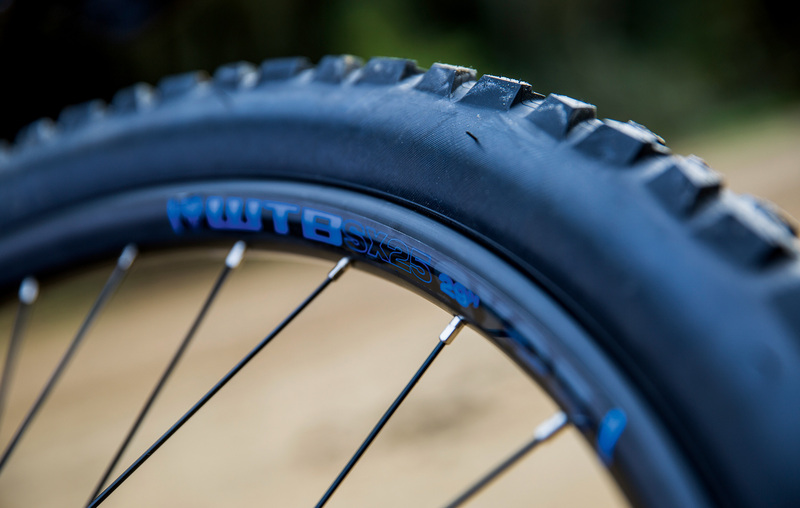 The last time we looked, most riders aren’t shredding the trails on their rear wheels anyway. 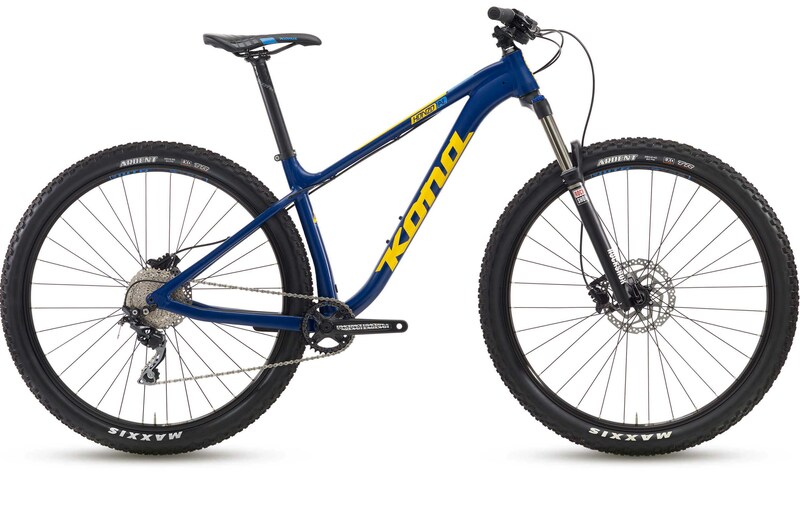 But almost everyone would benefit from the extra confidence and traction that a good 29er like the Kona Honzo AL provides. Kona has done a truly amazing job on the Honzo AL. Not only does the frame look incredible, its modern take on 29er geometry ensures that the Honzo is one of most fun and engaging hardtails we’ve tested. There are a few issues with the build kit that prevent the Honzo from reach its full potential, though. The heavier, steel-bead tyres literally drag the side down, and the 1x10 transmission offers too restrictive a gear range for all but the super-fit. Thankfully, both of these gripes are relatively easy to fix, but Kona has to be at the very top of its game to beat the mighty Whyte 901.